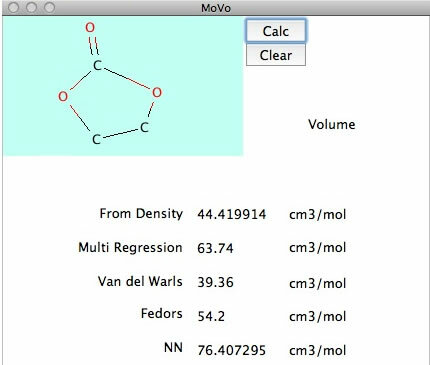 Volume calculated from density and molecular weight. Van del Waals Volume group additivity method. Pirika neural network (NN) method.